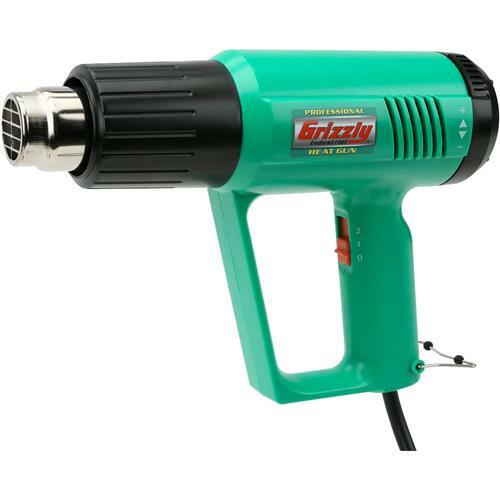 This superb Grizzly® heat gun is very versatile. Features variable temperature control from 120 - 590 degrees C. This model is great for heavy-duty, industrial use.ETL certified meeting UL 499, 13th Ed., Rev. Nov. 18, 2009, and CSA C22. No. 122-M1989, Rev. 2009 standards. This superb Grizzly® heat gun is very versatile. Features variable temperature control from 120 - 590 degrees C. This model is great for heavy-duty, industrial use. ETL certified meeting UL 499, 13th Ed., Rev. Nov. 18, 2009, and CSA C22. No. 122-M1989, Rev. 2009 standards. I purchased this tool over three years ago for my electronic shop. We use this heat gun every day, and NEVER a hiccup. And we use the *&^% out of this tool. 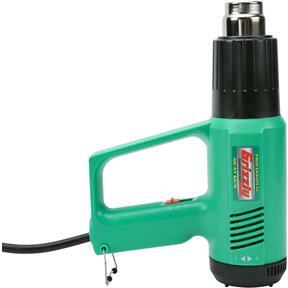 We have used about every heat gun out there, and this is by far the best of the lot. It's 1800 watt make this an excellent tool. From heat to solder cables together, to thermal testing and powder coat preparation, this tool really shines. I believe the simple and robust design perfectly balances performance with reliability, resulting in a great tool. We have had heating systems that cost $700.00, and most in between!